Attorney General and Minister of Justice, Hon. 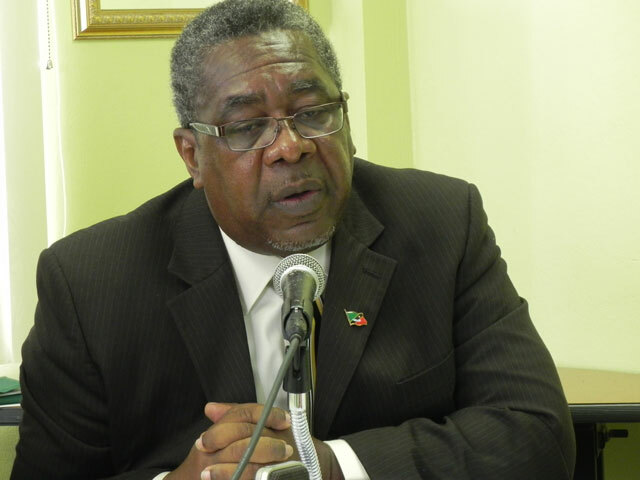 Vincent Byron says his government is making strides to protect the country’s internet interest from potential cyber crimes that can hurt the Federation’s economic development. This comes as the Team Unity Administration is currently in the process of establishing a special Unit within its Information and Communication Technology Department (ICT) to monitor such crimes. The ICT Department which is located at the CA Paul Southwell Industrial site, is currently undergoing major renovation work and is expected to opened in the first quarter of 2017. Earlier this year, a team from the Organization of American States (OAS) paid a visit to St. Kitts and Nevis, and according to Byron, they gave their “support to National Security as well as the Office of Information and Communication Technology, as it relates to cyber crime”. Byron explained that with support from the OAS and CARICOM partners, such as “IMPACS”, they are going to tackle the problem head on, as a number of Government and law enforcement officials were part of several training programmes carried out in recent times. “We have been to seminars and forums in St. Lucia earlier this year, with the Permanent Secretary in the Ministry of National Security, Mr. Petty, the Assistant Commissioner of Police, Merclyn Hughes and I. We went down to St. Lucia, where we were engaged in a pretty important meeting put on by the Commonwealth, the CARICOM office and CTU and the Government of St. Lucia,” Byron told the Observer during a recent interview. Those sessions he noted were carried out by major international players, including Interpol and the Federal Bureau of Investigations (FBI). “It is a very important and critical issue of the country, not just in terms of the government but for the private sector and the country as a whole. We are vulnerable to attacks and we are vulnerable to our businesses being set back, and so we must be conscious that we have the necessary technical resources to protect us, ” The Attorney General stated. The problem raised its head in region again last year when a group allegedly representing ISIS hack several government websites. While back in 2014, another group reportedly stole approximately $150 million from an international financial institution in the region, according to The Commonwealth.com. AG Byron has urged citizens as well as business owners to be cognisant of their internet use and be mindful of leaving accounts open. Little things can make a big difference in the cyber crimes, Byron highlighted, while raising several questions, including do you leave your accounts and computer unlocked while going to the bathroom or do persons have access to the various passwords that you use? That team is not expected to be fully operational until next year.